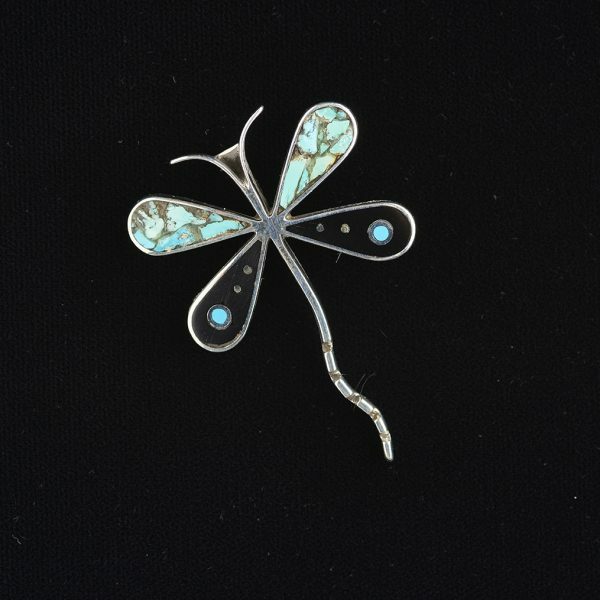 Jimmy has been creating gorgeous inlaid stone and sterling silver dragonfly pendants. 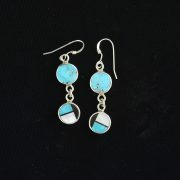 They are beautifully crafted, with marvelous stone combinations and colors. 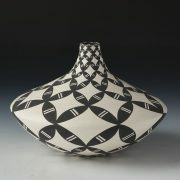 This new pendant is inlaid with turquoises, and black jet, with silver dots and borders of turquoise circles. Lovely !